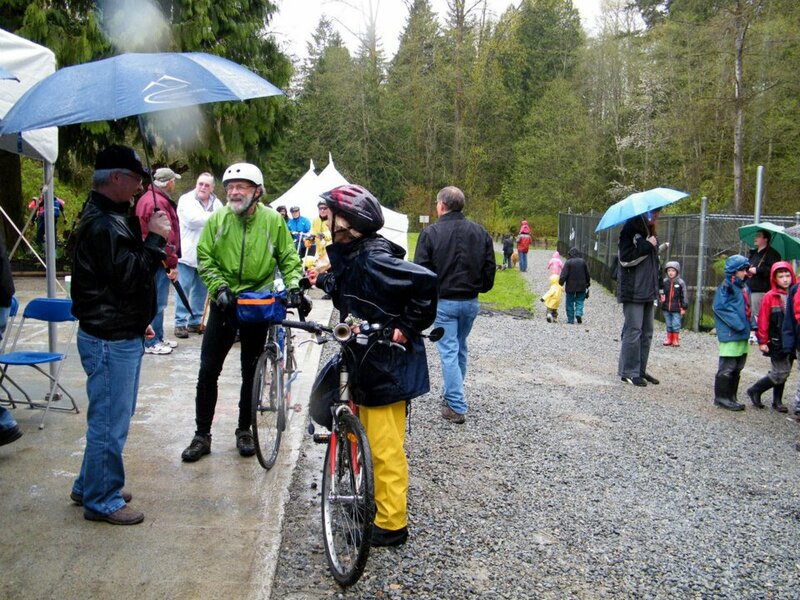 Maple Ridge/Pitt Meadows Cyclist: Discovery Bike Ride to "Goodbye Chums"
Four of us - Dave, Barb, Tom and myself - braved the rain and cold today to ride to the Goodbye Chums event and the Grand Opening of the new Bell Irving Fish Hatchery on 256th Street. 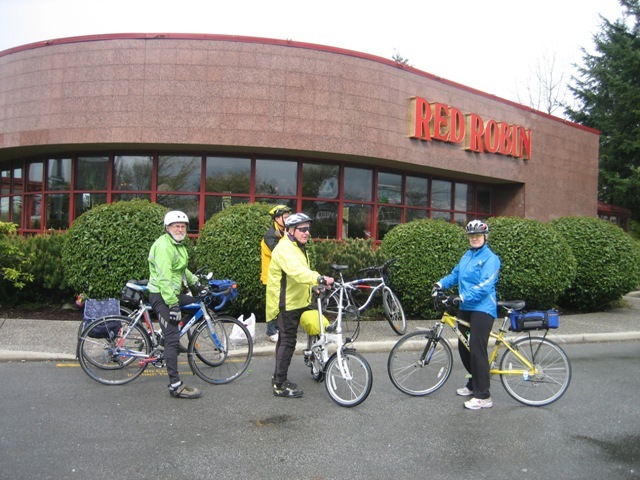 We started off ready to burn off some calories after the annual volunteer pancake breakfast at Red Robin, served by Mayor Daykin and his crew. We followed the 123 route up to 240th Street. Instead of continuing along Dewdney, we rode along the quiet, scenic back roads and down 256th to the hatchery. Great route, even though Dave was complaining that it wasn't exactly a direct route. 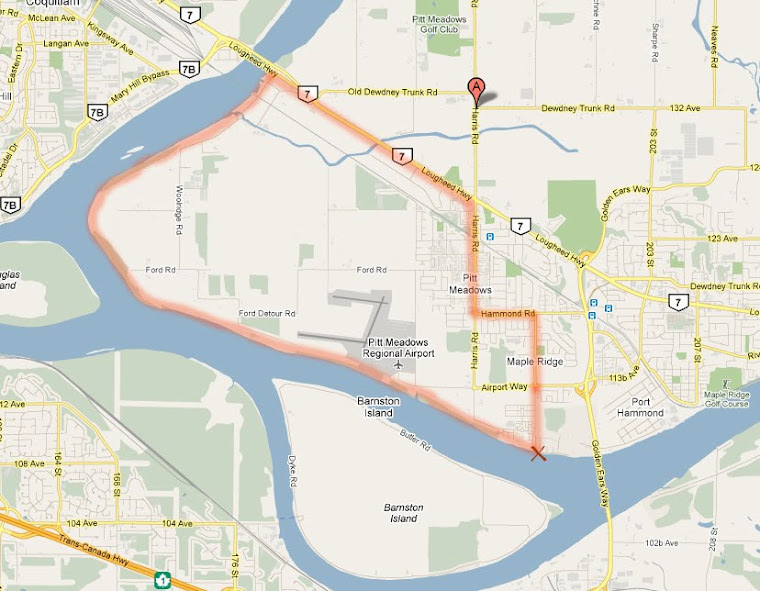 It did add several more kms, but if you're not in a hurry it certainly beats busy Dewdney Trunk Road. It was getting kind of cold once the rain started soaking through towards the end, but there was life-saving coffee and timbits thanks to Timmy's once we got there, and after the enthusiastic presentations also great food, courtesy of Panago. You kind of take it for granted that you can always go to the supermarket and find some tasty salmon for a special dinner. The passionate people at KEEPS (Kanaka Education and Environmental Partnership Society) are doing a really important job of helping to keep our rivers and oceans well stocked with salmon and they deserve a big thank you. I thought it was really neat for the kids to take the small salmon fry down to the river and release them, knowing that in a few years they'll be back to spawn and complete the cycle of life.